Conversation intelligence is a trending topic for B2B sales analytics teams. CallRail, a leading call tracking, recording, and analytics platforms for Sales, provides reliable and powerful conversation analytics that take the guesswork out of qualifying leads. 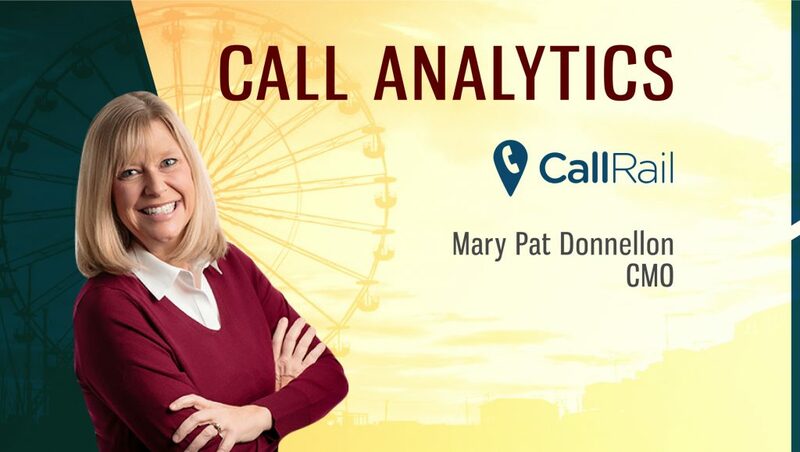 Mary Pat Donnellon, CMO at CallRail, spoke to us about the core tenets driving her company’s marketing campaigns on call analytics and the future of CRM and Marketing Automation tools. Tell us about your role at CallRail and the team/technology you handle. I am the CMO at CallRail, a call tracking and analytics provider to more than 90,000 companies and marketing agencies globally. CallRail’s intuitive software helps data-driven marketers optimize the performance of their advertising campaigns, increase sales effectiveness and improve customer retention. From call tracking, routing, recording and analytics, CallRail provides valuable data about your leads and customers to help grow your business. 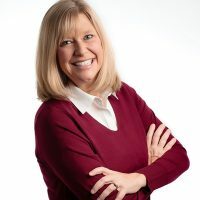 I lead marketing at CallRail, where we are focused on helping both potential and current customers understand and realize the value of CallRail and all they can achieve by using it. What are the core tenets driving your marketing campaigns on call analytics? We try to think of everything we do in marketing through the lens of the buyer and customer journey and how we can help agencies and businesses take the next step on their journey with CallRail. We have distinct approaches and strategies at every stage from educating future customers on how agencies and business can grow by leveraging call analytics, to helping current customers understand and fully utilize all the features in CallRail to maximize their success. Tell us more about your Conversation Intelligence platform? CallRail’s conversation intelligence platform makes it easy to qualify phone leads, allowing marketers to understand and focus on what is truly converting. Conversation intelligence enables marketers to spend less time manually scoring their calls and understand the quality of a call, without having to listen to any recordings. Using machine learning, call metadata, and transcriptions, CallRail’s powerful conversation analytics takes the guesswork out of qualifying leads. CallRail’s CallScore feature utilizes this automated conversation intelligence to qualify and score calls instantly. This way, marketers can quickly discover which marketing campaigns are creating the most valuable leads, and understand how inbound calls turn into appointments, opportunities and sales. What would be the state of CRM and Marketing Automation tools in 2018-2022? More than ever, there is a need for CRM and Marketing Automation tools to include more analytics data. Marketers want to understand which marketing campaigns are contributing the most ROI, and that’s where multi-touch attribution comes in. 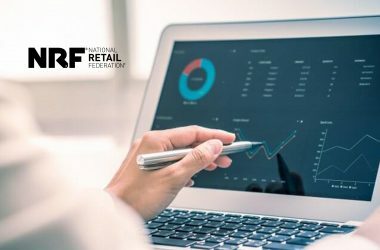 For so long, CRM tools have focused on sales efficiency, but the amount of efficiency that is found in analytics and attribution data is essential for marketers’ business results. They need to understand what is truly driving leads and which customer touchpoints need the most attention. By focusing on attribution and analytics, marketers can figure out how they can improve their campaigns moving forward. How do you see the Marketo’s acquisition of Bizible adding more muscle to Multi-touch attribution models? Marketo provides automation for marketers to strategically reach prospects at different stages of the buying process to convert them, and Bizible provides the tools to measure each touchpoint. This acquisition validates the need for multi-touch attribution/analytics and understanding how each marketing channel contributes to the bigger goal of an internal sales team. We know the importance of tracking and converting leads, as companies have called out CallRail’s integration with HubSpot as an effective way of measuring overall marketing ROI. Similarly, with the Marketo-Bizible acquisition, marketers will be able to understand which touchpoints need the most attention and how to convert buyers more quickly. Marketers need to understand what is truly driving leads and how they can improve the buyer journey, and focusing on the analytics behind their campaigns can help them get there. How does your integration with HubSpot benefit customers? What impact does it have on the sales goals? Marketers want and need to understand what is truly driving their leads, but they need to be able to record their calls in a way that helps them better manage their leads. CallRail’s new HubSpot integration update not only allows marketers to view which marketing activities are driving sales, but it tracks everything all in one place for a streamlined workflow. Until now, CallRail customers could attribute inbound phone calls and text messages from their marketing campaigns but would have to send them to HubSpot as form completions. Sending calls and texts as forms without attributing them to specific campaigns makes reporting in HubSpot difficult. Now, CallRail’s updated HubSpot integration sends phone calls and text messages from CallRail directly into HubSpot using HubSpot’s new engagements API. This allows users to add a phone call to a contact as an engagement, rather than a form, for more powerful reporting. New contacts are created from phone calls without email addresses, and call recordings are populated directly inside of the HubSpot contact for simplified lead management. We are thrilled with the high-level of use adoption of the CallRail and HubSpot integration and because of this are now premium partners with HubSpot. What are your observations on B2B lead-gen campaigns? How can CMOs better leverage CallRail to overcome challenges in these campaigns? The biggest challenge in B2B demand generation campaigns is measuring results and ROI on the marketing strategies tactics employed. Without this knowledge, CMOs are blind and cannot improve, refine and optimize. By using CallRail, CMOs can leverage the powerful insights our technology provides and discover which campaigns are effective in generating leads. Most marketers have implemented traditional uses of testing their campaigns, but with call tracking and analytics technology, they can more effectively A/B test which ads and campaigns are working with feedback straight from the leads themselves. They can also use call tracking data to uncover frequently used phrases from customers, which they can use to drive key campaign decisions and improve their advertising efforts as a result. How do you work with Data Science and AI/ML for call analytics? One of the best examples of CallRail’s AI capabilities is our Call Highlights feature. It’s an AI-driven extension of our Keyword Spotting technology within CallScribe that automatically detects and surfaces relevant keywords in a phone call. While Keyword Spotting identifies pre-determined keywords and phrases within call transcriptions, CallRail’s first-to-market Call Highlights feature detects and proactively recommends new keywords to analyze, providing extra insight from a given phone conversation. Based on these recommendations, CallRail users can adjust their Keyword Spotting settings to include these additional keywords for future analyses. 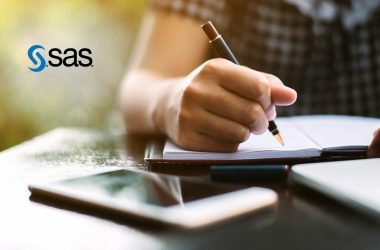 Call Highlights can reveal unique customer insights that marketers might have otherwise missed and use them to shape future marketing initiatives that will truly resonate with their target audiences. Thanks for chatting with us, Mary.